Arthur Duane Caudill, 81, of Kalispell, Montana went to heaven to join the love of his life, Shirley, for her birthday on September 12, 2018. Born on September 5, 1937 to Russell and Lorraine Caudill in Troy, Montana, where he attended school, and at the age of 17, enlisted in the US Navy. Upon returning from his enlistment, he met and married his one and only true love, Shirley Rafdahl on June 22, 1959 in Bonners Ferry, Idaho. From that marriage came two sons, Michael Duane Caudill in 1962, and Brian Caudill in 1970. Arthur was employed by W.R. Grace in Libby, Montana and later relocated to Kalispell and began working as a service writer at Roy Stanley Chevrolet and at Plum Creek Lumber Mill as a green chain operator. 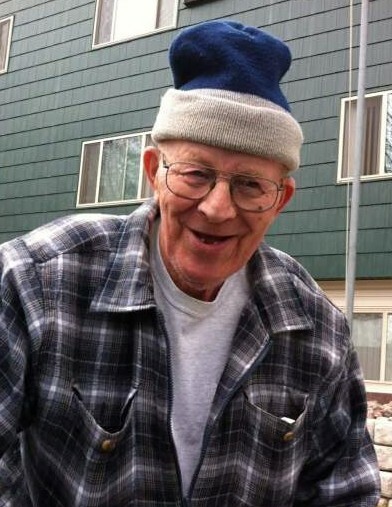 He loved watching wrestling, driving stock car, and making jewelry out of deer and elk antlers. He is preceded in death by his wife Shirley, mother Lorraine, father Russell, sister Doreen, brothers in law Bill Gibson and Fred Evans. He is survived by is his two sons, Michael and his wife Terry of Kalispell and Brian and his wife Lisa of Bozeman. The light of his life was his numerous grandchildren, Trevor (Jolene), Mikey (Amanda), Lisa, Brett, and Brooke. Arthur had eleven great grandchildren, Mya, Talyn, Liam, Saniyah, Ivory, Hayden, Taeryn, Jax, Ryleigh, Kenzie and Colter. Arthur had three best friends, Patrick, Dave and his beloved fur buddy, Bongo. A celebration of Art’s life will be held on Saturday, September 15th, 2018 at 12:00 pm at Darlington Cremation and Burial Service Funeral Home, 3408 US Hwy 2 East, Kalispell, Montana. Interment will follow at 1:00 pm at Glacier Memorial Gardens, 2659 US-93, Kalispell, Montana. A luncheon will be held at 3:00 pm in the basement at Sykes Diner, 202 2nd Ave W, Kalispell, Montana. Darlington Cremation and Burial Service is caring for Art’s family.